Please complete the form here to download the Table of Content plus selective sample pages. You can also scroll down to see the table of content. 4.1.1. HOW TO BEST ALIGN ORGANIZATION STRATEGIES WITH BUSINESS EXECUTION? 4.1.2. WHAT ARE THE IDEAS THAT ARE WORTH INVESTING IN, NOW AND IN THE FUTURE? 4.1.3. 3. HOW TO ADJUST AND CHANGE COURSE WHEN NECESSARY? 5.1.1. WHAT IS THE BEST APPROACH TO PORTFOLIO GOVERNANCE? 5.1.2. HOW TO SELECT AND OPTIMIZE PORTFOLIO COMPONENTS? 5.1.3. HOW TO PROVIDE ONGOING MANAGEMENT OF THE PORTFOLIO? 6.1.1. WHAT ARE THE DESIRED PERFORMANCE GOALS? 6.1.2. HOW TO BEST UTILIZE THE RESOURCES AVAILABLE? 6.1.3. HOW TO MEASURE AND REPORT ON THE PORTFOLIO VALUE? 7.1.1. WHO TO COMMUNICATE TO? WHO ARE MY STAKEHOLDERS? 7.1.2. 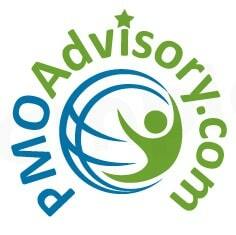 WHAT IS THE OPTIMAL COMMUNICATION PLAN TO SUPPORT THE PORTFOLIO MANAGEMENT PROCESSES? 7.1.3. HOW TO MANAGE THE PORTFOLIO INFORMATION – COLLECTION, STORAGE, AND DISSEMINATION? 8.1.1. HOW TO DETERMINE PORTFOLIO RISKS? 8.1.2. HOW TO MANAGE THEM ON A SUSTAINABLE BASIS? 8.1.3. HOW TO DEAL WITH LOW PROBABILITY BUT HIGH IMPACT RISKS (BLACK SWANS)?